Here with Shinilola & Jessicat. 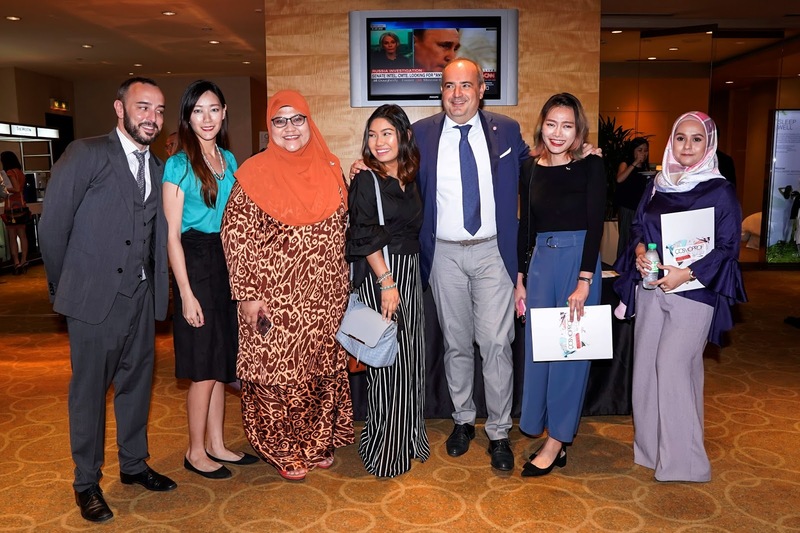 On October 5th, 2017, I attended Cosmoprof Worldwide Bologna Presentation (held for the first time in Kuala Lumpur). 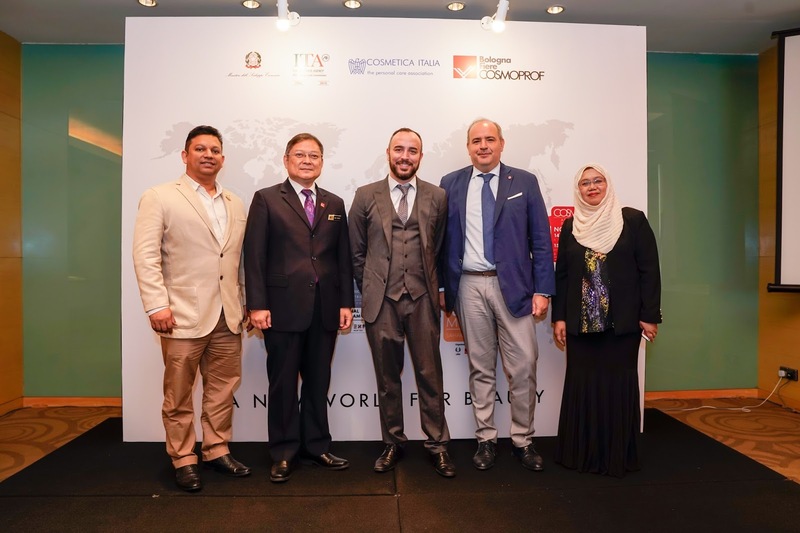 This presentation was organized by the Italian Trade Agency (ITA) in collaboration with Bologna Fiere and Cosmetics Italia, with the support of Malaysia External Trade Development Corporation (MATRADE). 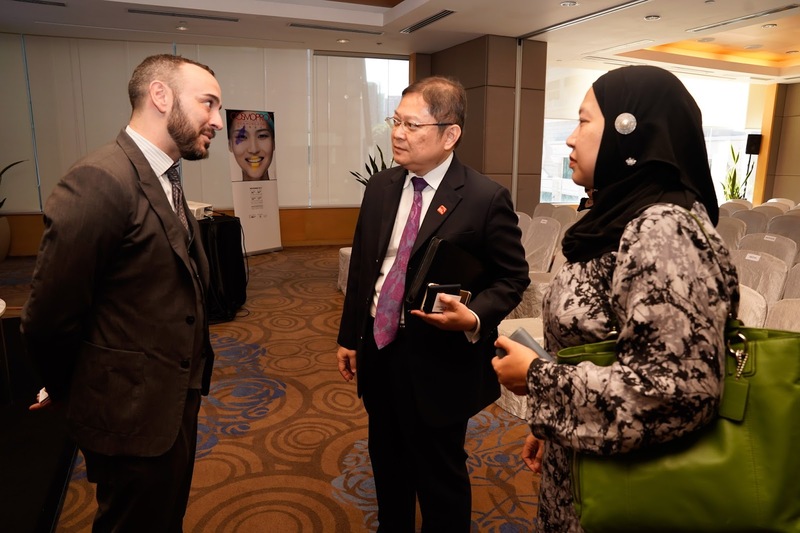 L-R: Mr Abu Bakar Yusof, Director of Lifestyle, Lifescience & Medical Devices and Pharmaceutical Section, MATRADE | Dr Samuele Porsia, Italian Trade Commissioner in Kuala Lumpur | Mr Mattia Miglio, International Marketing Manager of COSMOPROF. This presentation was held to introduce the world's biggest international trade show for the beauty industry - Cosmoprof Worldwide Bologna 2018, on 15th to 19th March in Bologna, Italy. 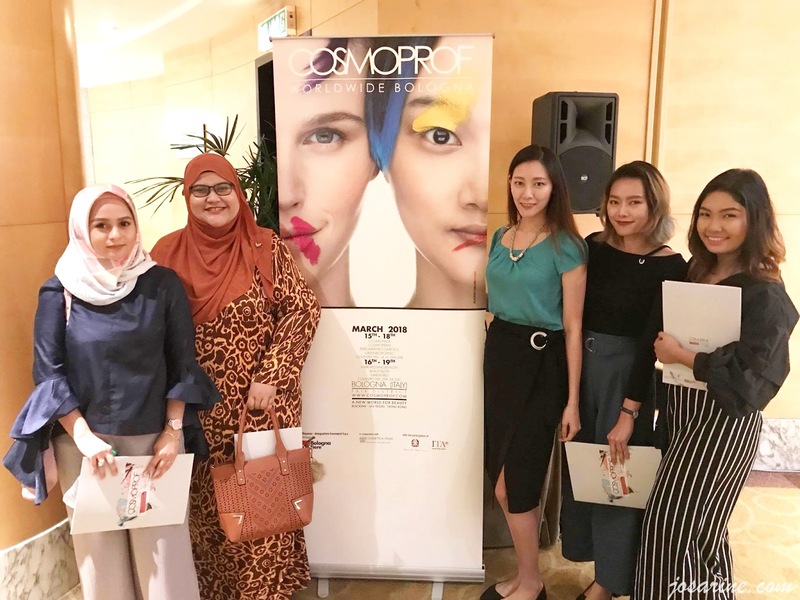 I was amazed by the turnout at this presentation and it was an eye opening experience to learn about import and export, as well as meeting so many people from the beauty industry. According to the PR agency that invited me (DCG Malaysia), they were only limited to 70 seats but the turnout was more than 80 participants! 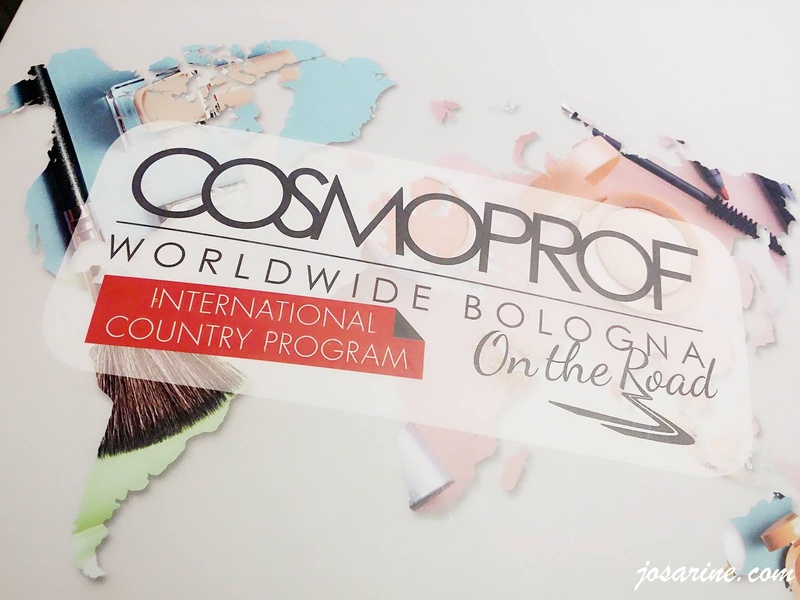 Who or what in the world is Cosmoprof Worldwide Bologna? Well, a lot of people including myself mistaken that it was a beauty fair, but this is way BIGGER. Cosmoprof is the most important B2B beauty event in the world since 1967. 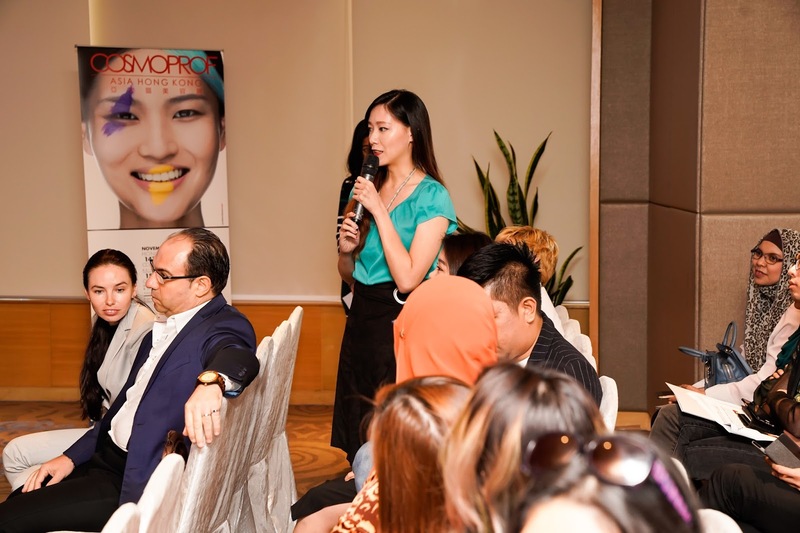 They have had events in Hong Kong since 1996 for Cosmoprof Asia and Las Vegas since 2003 for Cosmoprof North America. In September 2018, Cosmoprof will launch Cosmoprof India in Mumbai! 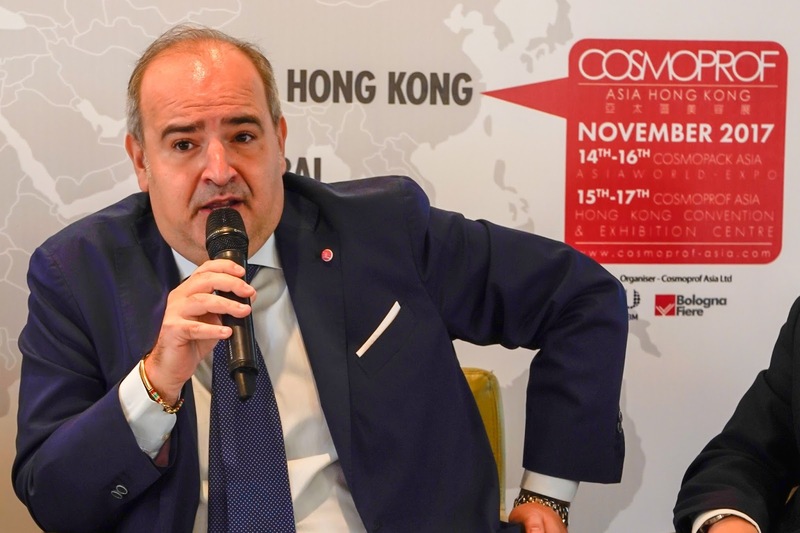 Dedicated to beauty and cosmetics world, Cosmoprof is the biggest and most important B2B network event in the world and it is chosen by the industry professionals as the ultimate place to grow and expand your business. 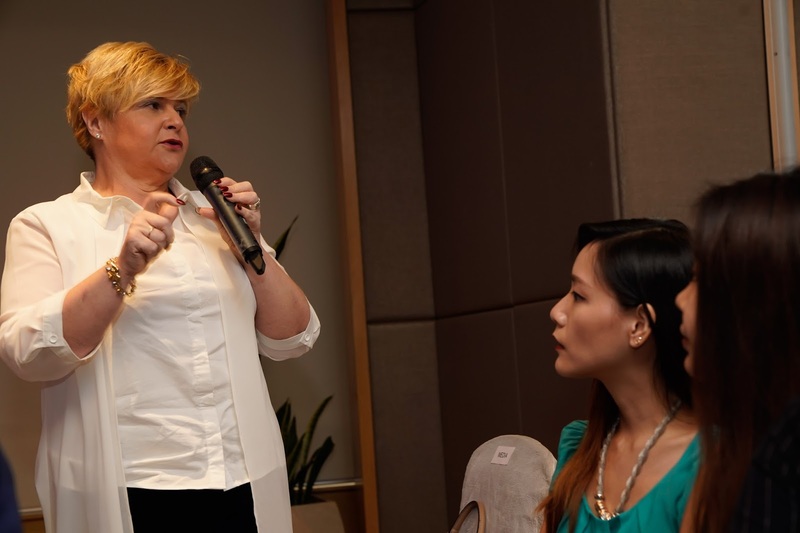 Majority of the people present that day were mostly professionals and trade businesses of the beauty industry, and they were intrigued to learn about the import and export of cosmetics, beauty products, and expand to the European market and worldwide. Here's a random fact, did you know Italian exports cosmetics worth up to EUR 8.1 million to Malaysia in 2016? 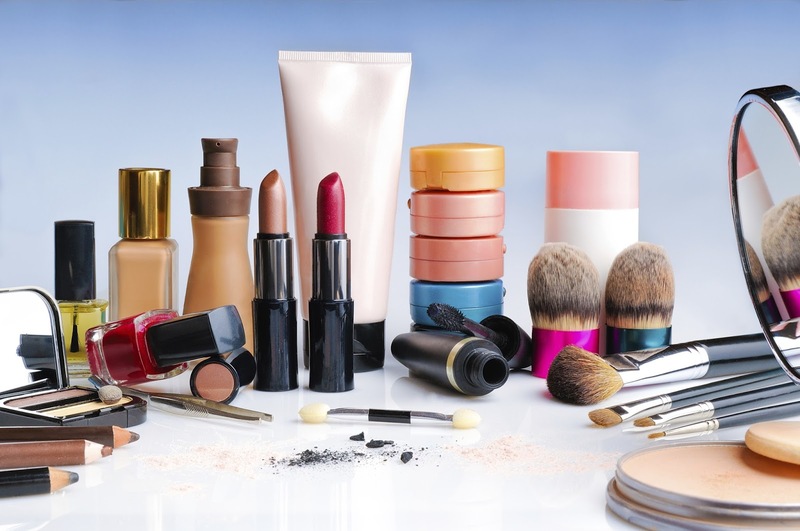 This makes Southeast Asian nation the 57th largest importer of Italian cosmetics. As for imports of cosmetics in Malaysia in 2016, have reached EUR 1.6 million, an increase of 326% compared to 2015. Cosmosprof is the leading B2B platform on the international beauty scene for industry professionals and operators. Join the international hub that brings together all the relevant distribution channels: from retail market, to trade professionals and digital. 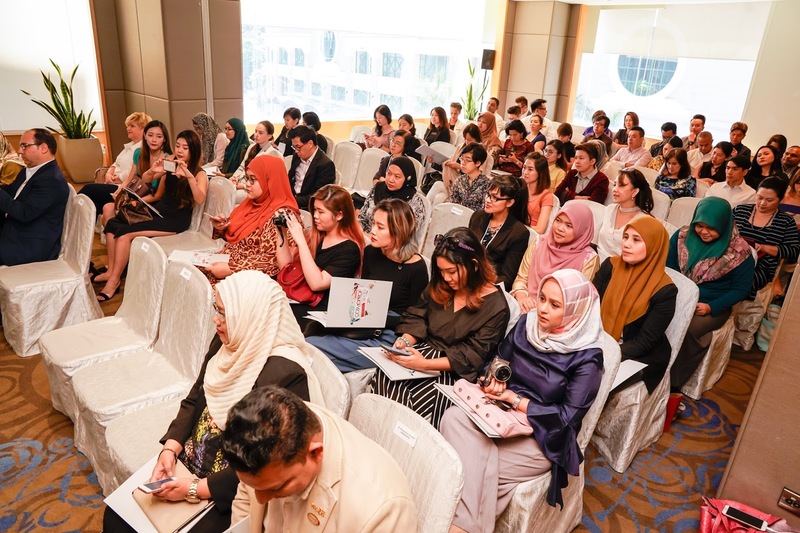 A meeting spot for professionals and decision makers to create new partnerships and keep up to date on the latest trends in the beauty world. You gotta take advantage of Cosmoprof brand awareness, equity and knowledge internationally! When it comes to businesses, building relationship is super important especially with the exhibitors, your prime potential suppliers/clients. Get the opportunity to meet high profile buyers from major emerging markets! Last but not least, to benefit from a strong marketing and communication plan before, during, and after the events. L-R: Dr Baskaran Kosthi, President, Malaysia Association of Wellness & Spa (MAWSPA) | Mr Abu Bakar Yusof, Director of Lifestyle, Lifescience & Medical Devices and Pharmaceutical Section, MATRADE | Mr Mattia Miglio, International Marketing Manager of COSMOPROF | Dr Samuele Porsia, Italian Trade Commissioner in Kuala Lumpur | Puan Mawarni Hassan, FMM Malaysia Cosmetics & Toiletries Industry Group (FMM-MCTIG). Watch some videos from last year here! The main event will take place this coming 15th to 19th March 2018, so start planning for your businesses! Location: In the heart of Italy, Bologna. For more info, visit www.cosmoprof.com.